Today, I write from an altitude of 1800metres near the Col du Tourmalet in the French Pyrénées, where I excitedly await arrival of this year’s Tour de France. 2010 marks the centenary of Le Tour in the Pyrénées and the route through the mountains is particularly challenging this year. Cycling, as a form of transport and observable mobility, provides an example of the ‘new’ mobilities concept discussed by Shaw and Hesse (2010) in TIBG. 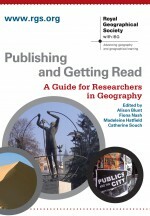 Their paper argues that while transport geography and ‘mobilities’ have tended to be studied separately, “there ought to be a closer working” between the two. Following Shaw and Hesse, mobility lends a cultural-geographic perspective to Le Tour by providing a framework for exploring the ways in which it is practiced, experienced and embodied. Such representations of Le Tour construct it as more than a cycle race and help us think about it as ‘a way of being in the world’ for riders, teams of technicians and medics, media persons and spectators. One link between this epic race and cycling as transport is the enthusiasm that people express by purchasing or climbing onto their own bikes around this time. Consider, for example, how retail bike sales rose following the success of the British cycling squad in the 2008 Olympics (see, Thompson, 2008). It is not long now until the helicopters, police motorbikes, journalists and leading rider(s) will descend on this peaceful mountainside…just long enough to chalk my favourite cyclist’s name onto the road in support. 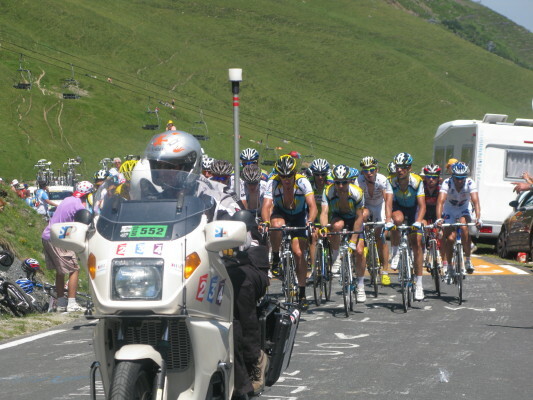 This entry was posted in Uncategorized and tagged 'New' mobilities, Cultural Geography, cycling, French Pyrenees, Le Tour de France, Transport geography on July 20, 2010 by fionaferbrache.